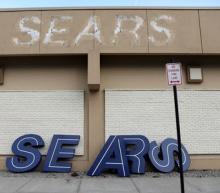 The lawsuit, made public on Thursday, was filed by the restructuring team winding down Sears' bankruptcy estate and suing on behalf of creditors, many of whom blame Lampert for the retailer's downfall. The complaint seeks the repayment of "billions of dollars of value looted from Sears," including while it was in what Lampert would later call a "death spiral" where it sold core assets to meet daily expenses with no real plan for becoming profitable. "Had defendants not taken these improper and illegal actions, Sears would have had billions of dollars more to pay its third-party creditors today and would not have endured the amount of disruption, expense, and job losses resulting from its recent bankruptcy filing," the complaint said.